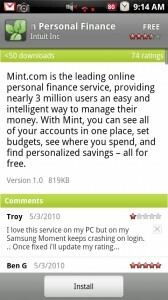 Everyone’s favorite online personal finance service hit the Android Market today and is available for free as expected. This puppy gained fame on the iPhone and has been one of the most anticipated Android apps to date. Finally, a quality app! OS Search: Easily search for and find recent transactions, anytime, anywhere. Mint.com widget: Access a snapshot of overall cash flow in real-time. 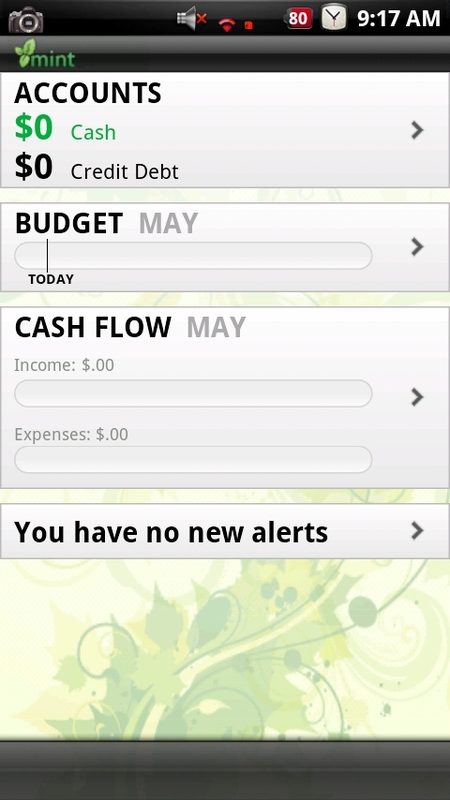 Android Live folders: Get financial updates on the phone’s home screen without launching the Mint.com application. All Android OS are supported.